The United States War Dogs Association, Inc. Chapter 1 Western Region is a 501(c)(3) approved nonprofit Public Benefit Corporation and is NOT organized for the private gain of any person and is organized under the Nonprofit Public Benefit Corporation Law for public and charitable purposes. 1. Support: Through our fund-raising efforts and donations, we provide assistance and support service to U.S. Military Working Dog Teams. We provide critical care and comfort for Military Working Dogs and their Handlers both during and after deployment through OPERATION MILITARY CARE K-9, our support mission to help the MWD/Handler Teams by sending care packages overseas. 2. Education: Bring the honorable history of the courageous U.S. Military Working Dogs who served in all American wars to the general public using permanent and temporary displays and by making public appearances at speaking events, radio and T.V. shows. 3. Post-deployment Services: Post-deployment outreach for returning U.S. Military Working Dogs and their Handlers. 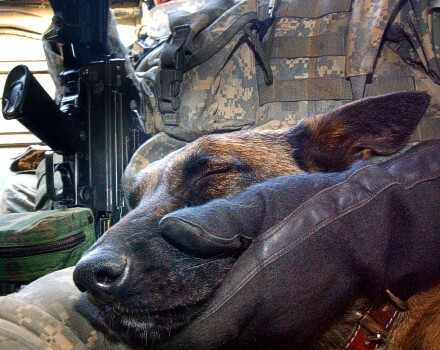 100% of all donations to USWDA Chapter 1 are used for the benefit of MWD/Handler Teams. USWDA Chapter 1 is an all-volunteer organization. No one associated with this nonprofit is compensated and/or receives any salary for their services. © 2012-2019 United States War Dogs Inc. - Chapter 1 Western Region. All rights reserved.